Choose the premium brand worldwide. We guarantee the best and safest quality of all our products. Permanent make up is the fastest growing specialization in the beauty industry. The last decade it is developed from simple permanent make up to superior micropigmentation techniques. Nouveau Contour always has been the innovator in the developments of the newest techniques. A guarantee for your success! 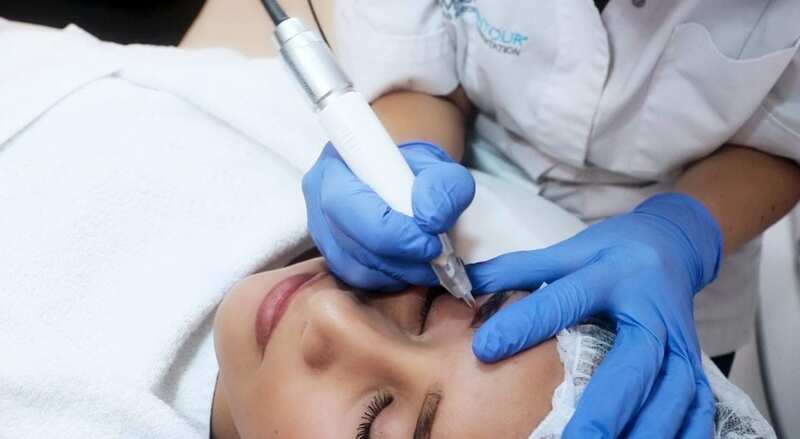 A permanent make up treatment lasts about as long as a normal facial treatment, but your earnings are considerably higher. You earn back your investment in training, equipment and products within only a few clients. High profits and low costs make you financially independent! As a PMU specialist you offer the possibility to subtly give feature shape and definition to enhance natural beauty. The offer in techniques and treatments is endless, but the most popular are eyebrows, lips and eyeliner. Smudged make up is history! Besides offering micropigmentation from an aesthetic point, it is also possible to perform medical PMU treatments. Through dermapigmentation you can help clients who suffer from alopecia, have undergone breast reconstruction or chemotherapy or have visible scars, to improve their confidence and self-image. You can be the one that works with medical professionals and give a finishing touch to the work of surgeons. Micropigmentation is THE business opportunity you don’t want to miss!